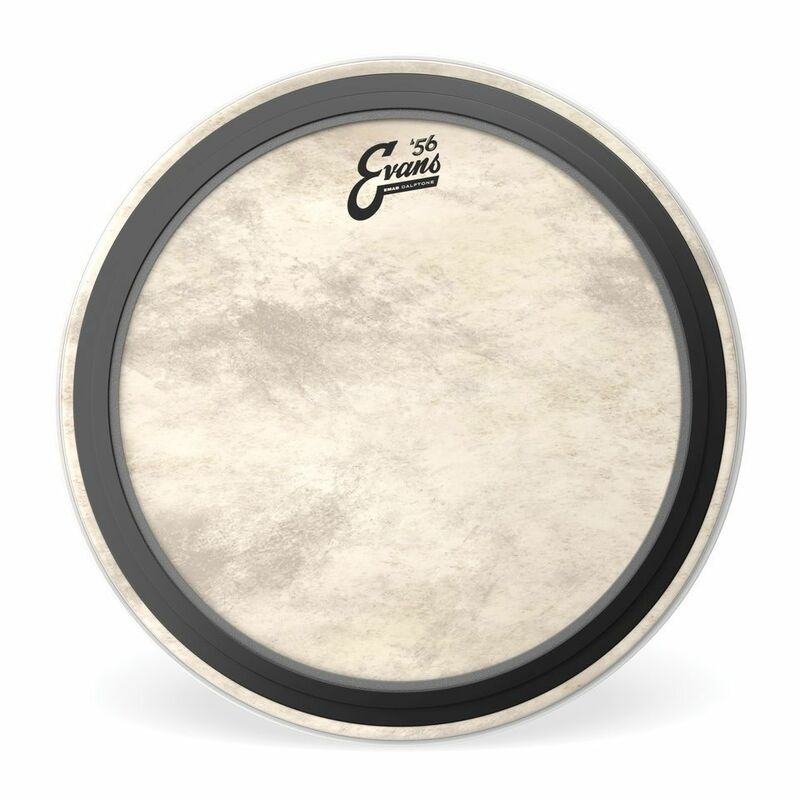 Evans Calftone EMAD drumheads are the artificial alternative to real, traditional calfskin skins. They combine the texture, the appearance and above all the sound of natural skins with the durability and tuning reliability of synthetic bass drum skins. The Evans EMAD Calftone are ideally suited to give a vintage kit the classic look without sacrificing the advantages of modern bass drum skins. Rich sound - warm and defined! Made from a 12 mil thick layer of Mylar, Evans Calftone EMAD skins produce an extremely full and warm tone, thanks to their unique manufacturing process, which is clearly defined and also provides the necessary amount of sustain and response to make the set sound balanced and natural. Typical for Evans EMAD, of course, the built-in attenuation ring for overtone control must not be missing. This focuses the stop and eliminates interference frequencies for a pure frequency mix. The Evans EMAD coat has the known advantage that the damping ring is adjustable and you can control depth and attack to a certain degree.